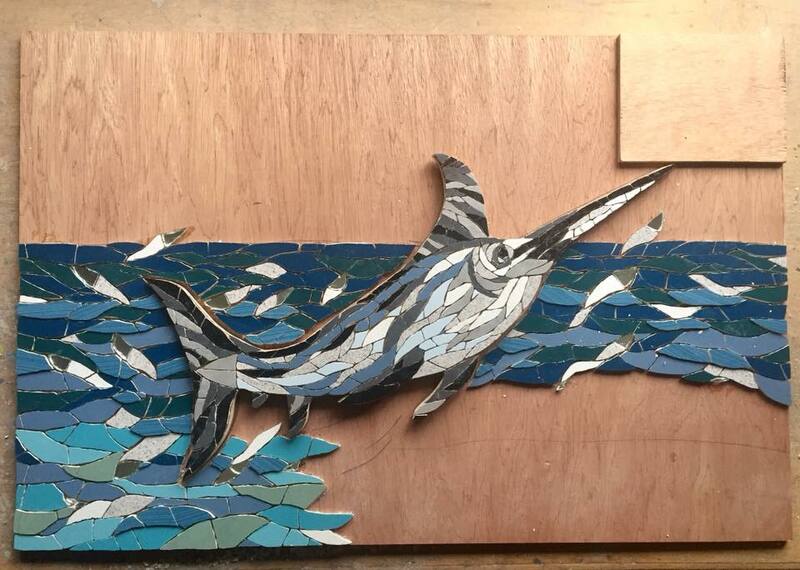 I am making good progress with my latest large mosaic commission - it really is a pleasure to make. 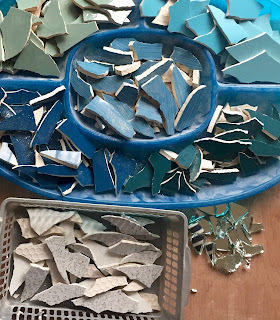 I love choosing all the different coloured tiles from my large collection, and then cutting out the shapes, thinking of the atmosphere and movement I want to create. 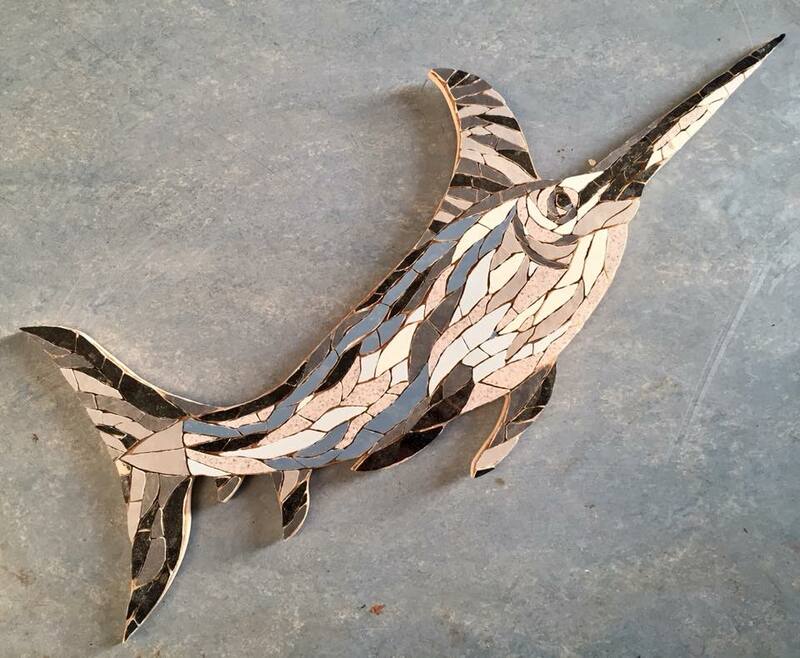 First I finished cutting out and sticking the tiles for the marlin - I am really pleased with how he turned out. 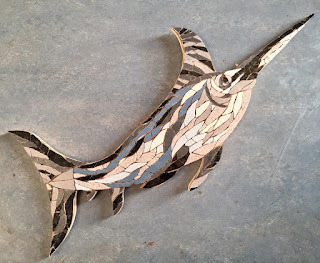 In order to give the mosaic a 3D feel, I made the marlin separately and will then stick it onto the background board, when it comes to grouting the whole piece. 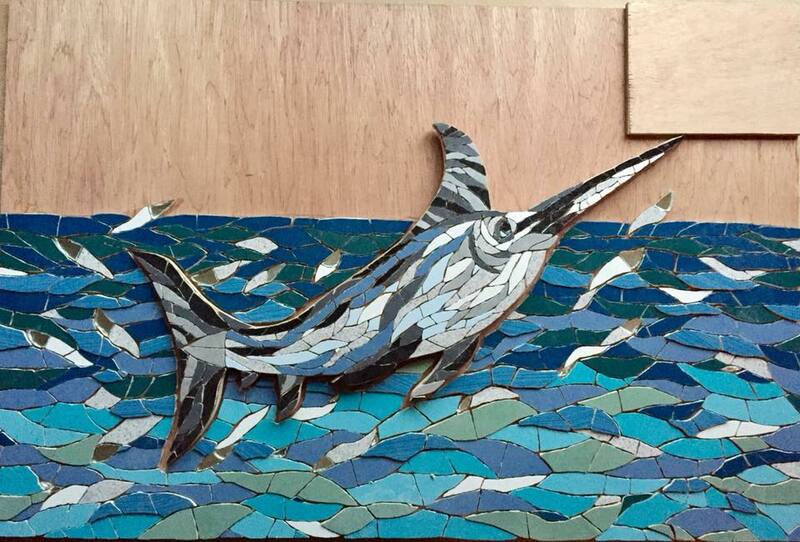 Moving on, I then chose the tiles for the sea, and prepared them by cutting them all into wave like shapes. 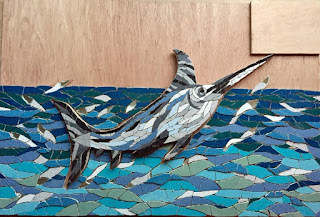 When I create a sea mosaic, I measure the area into three approximate sections and allocate three shades to each one. I blend each section into each other so they are not obvious. 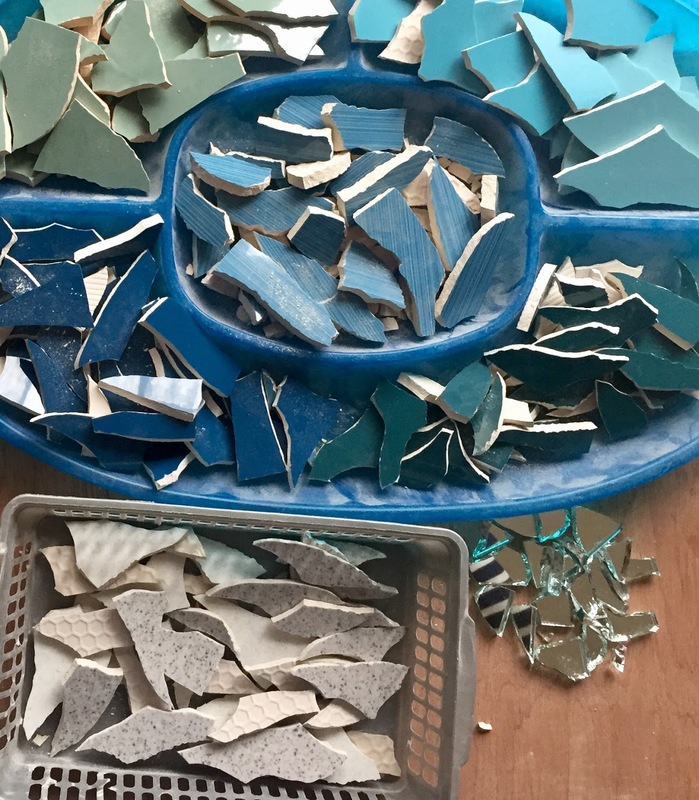 I start with darker smaller tiles at the top and finish with lighter larger tiles at the front, to give a distance perspective. 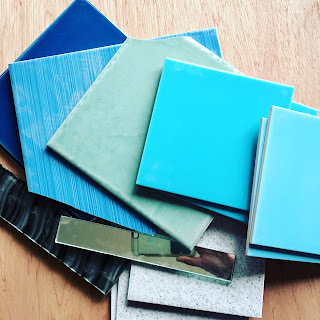 I also made some mirror tiles to give the effect of splashes of water. 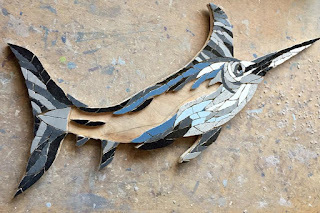 ... and here is the sea finished, with the marlin laid in place, to give you an idea of what it is going to look like, and the effect I want to create. 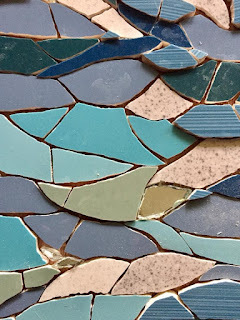 I would love to hear from you about what you think of it so far - and would be really grateful if you could share my blog with your friends and followers.